Same procedure needs to do in the month of October.Record the growth of all 25 type Now you can speak with your land in its own language. 1. The land has to be tilled for 1 or 2 times before the seeds are broadcasted. 2. The above 20 seeds mentioned need to be mixed thoroughly and broadcasted by hand. 3. Just before the flowering of the crops(in 3 months time), the crops need to be dealt in two different ways. 4. If the land is slushy, the entire crops need to be tilled again so that the crops, as well as the soil, are mixed thoroughly and allowed to decompose. 5.If the land is not slushy, the entire crops need to be cut at the base and allowed to decompose in the soil. 6.Mostly these needs to be done before the main crop is grown or if you are not growing any main crop and just for soil improvement, it is better to do this during the rainy season. 1. Normally, most of the villages in India will have temples/mosques and along with them, they will have ponds, tanks etc which stores water and which is used for the temple as well as for the common use. Even if there are not any temples around, definitely there will be ponds, tanks or other sources of water storage. This is an excellent source of nutrient-rich soil as most of the water that arrives in this place carry with them the topsoil from many places and deposit them here. 2.With the permission from the temple or local body, collected not more than 15-30 cms of topsoil from the pond, tank etc. By doing this, you will allow the water storage structure to retain more water. 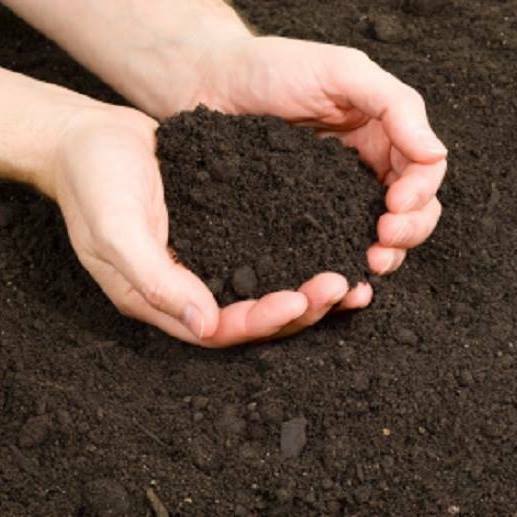 3.Spread the topsoil collected from the ponds, tanks etc in your farm to improve your soil. 4.The topsoil needs to be taken out only after sufficient amount of topsoil has been collected in the ponds, tanks etc. 1. The method mentioned above is also applicable for moving from Chemical Farming to Organic Farming. 2. The catch here is that this needs to be done at least for a continuous period of three years to notice the soil improvement. 3.Once you plan to move from Chemical Farming to Organic Farming, it is advisable to stop using Chemical Farming altogether from the first year. 4.The farmer may notice a dip in their production during the transition period. In case this is an issue, plan the transition in a phased manner like transitioning only 25% of the land every year.